Do you understand using the 1031 Exchange to Increase Profits? Real Estate Investors have slowed down as Real Estate Investment Properties have increased in price; the low hanging fruit is gone. But right now may be the best time to increase your profits and your cash flow. This post explains using the 1031 Exchange to Increase Profits! This is still a great time to Invest in Real Estate. Inflation (and perhaps hyper-inflation) is coming. This could well send property prices up further. Higher Interest Rates are coming. There will be an increasing demand for rental property. Home ownership is on the decline. The are calls for higher and higher Income Taxes. The Stock Market is over priced and due for a correction. No Need to Read any further Gene I want to start using the 1031 Exchange to Increase Profits! or call 925-260-4321. Article continues below. All of these factors mean that Investing in Real Estate is the smart way to go. If you are not yet Investing in Real Estate then you should request our Free Book of Real Estate Investing now. If you currently own Investment Properties this might be the time to act and act aggressively to increase your cash flow and profits by using the 1031 Exchange to Increase Profits! The 1031 Exchange allows you to Sell an Investment Property and buy another without having to pay Capital Gains tax on the profits from the first sale if you roll it over into another property. This can greatly improve your cash flow and profits without taking any money out of pocket. Each situation is different, but in general when using the 1031 Exchange to Increase Profits there needs to be some sort of an upgrade in the property. A basic assumption built into this is a 36% top marginal income tax rate (Federal and State). 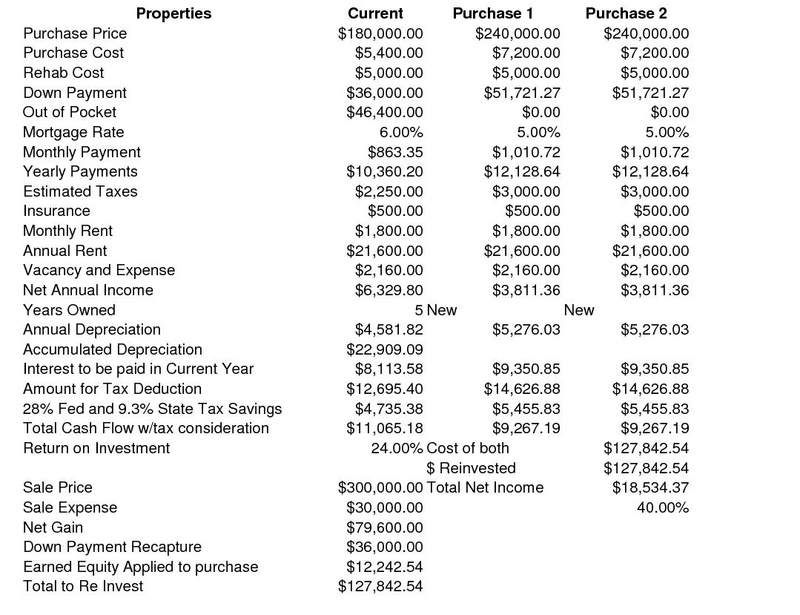 The scenario assumes an Investment Property purchased 5 years ago for $180,000.00 with $5,000.00 of rehab cost at time of purchase. Loan and purchase expenses of 3% and a 6% 30 year fixed rate loan with 20% down. With rents of $1,800.00 per month and expenses built in the Rate of Return on the initial investment is about 24% annually. Now if the property was purchased 5 years ago in this market it is not unrealistic to expect a sales price of $300,000.00. Less Sales expenses (Commissions, repairs, cost) of about 10% you earn $79,580.00 in appreciated gain, recapture the $36,000.00 down payment, and have earned equity(money you have paid down on the principal) of $12,242.52; for a total of $127,842.54 to reinvest. So what homes are on the market if I want to do an exchange and start using the 1031 Exchange to Increase Profits! Click Here to Search Homes! In the scenario then has a purchase of two properties, that need some work and maybe a little smaller, for $240,000.00 each. It does assume the rents staying the same, based on increased demands for rentals, but even adjusting the rents down the scenario remains positive. Again purchase cost and repairs are factored in with the balance going to the down payment. 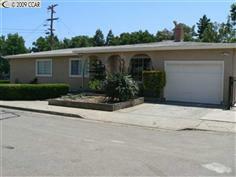 We also use a current rate for investment properties with this kind of down payment of 5%. Now might very well be able to refi your current investment property into a lower interest rate, but it would cost money out of pocket and you would not gain the advantages of doing the 1031 exchange. It would take many years to recoup the refinance cost. Furthermore, you get better rates on purchase loans than on refinance loans. Now your original Cash out of Pocket Investment has a Cash Return of about 40% annual under this scenario. Here is the real secret that is so important that does not show up in these numbers. Sense about 1970 the average home value has increased 4% a year. Assuming this holds true you have now increased your annual appreciated increase to 8% as now for the expense of one property (your original investment property) you are now gaining annual appreciation on two properties; not to mention a huge annual cash return. But wait it gets even better than that. That is an 8% growth in the value of the original investment. 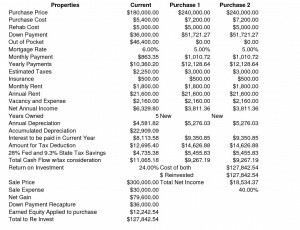 But really if you have $520,000.00 in property appreciating 4% at year ($20,800.00) that is a 49% increase in the value of your initial investment each year. So cash return of 40% with a 49% increase in value is a 89% return per year. So if you have an investment property that has appreciated in the last several years now may be an ideal time to do a 1031 Exchange and increase your leverage. If you have not Invested in Real Estate it is not too late to start building a real estate portfolio. Get the Free Book of Real Estate Investing. Are you using the 1031 Exchange to Increase Profits? Do you think you should consider using the 1031 Exchange to Increase Profits? Now wait – here is a bucket of cold water. Each Real Estate situation is unique. I think the scenario outlined is realistic. But property prices go up and down. There is no guarantee of any long term (or short term or mid term) result. Prices vary by market, interest rates go up and down all the time. Home prices are in a constant state of flux and your situation may be different. Your tax situation may not be the same as in this scenario. You may want to sell a property and upgrade to a better property. You may want to sell two properties and buy an apartment house. What we need to do is set down and look at your situation and you need to consult with your accountant about your taxes, and look at other issues unique to your situation. Home Point Real estate is here to help you evaluate your Real Estate Investment Portfolio to see what you might be able to accomplish at this point and to help you make a plan. To get a Free 1031 Exchange Review and start using the 1031 Exchange to Increase Profits call 925-260-4321 or complete the request below.